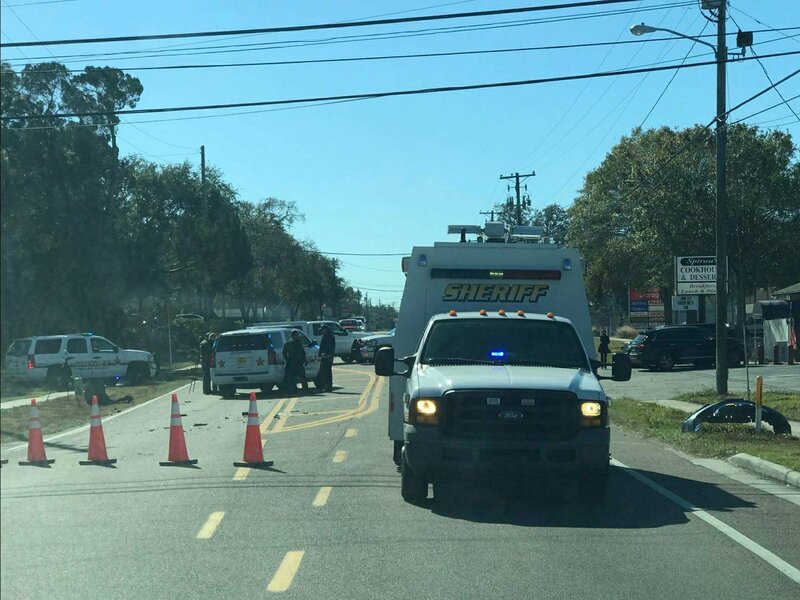 A crash, involving a Pinellas Deputy, occurred at approximately 9:30 a.m. on Thursday, January 18, 2018 on Pinellas Avenue near the intersection of E Curlew Place. According to investigators, Deputy Natalie Williams was on-duty and driving her marked Pinellas County Sheriff’s Office 2016 Chevy Tahoe southbound on Pinellas Avenue (Alt 19) in Tarpon Springs. Deputy Williams was responding with all of her emergency equipment activated on her assigned 2016 Chevy Tahoe to an unrelated emergency call when she attempted to safely pass several vehicles at the intersection of Pinellas Avenue (Alt 19) and East Curlew Place. Investigators say 72-year-old Treasure Lee Love was driving her 2014 Honda Civic southbound on Pinellas Avenue (Alt 19) in front of Deputy Williams and attempted to make an eastbound turn from Pinellas Avenue (Alt 19) onto East Curlew Place, in front of Deputy Williams’s vehicle, causing the collision. Deputy Williams was transported to a local hospital via ambulance with non- life-threatening injuries. Love refused medical treatment on scene.